The annual Pebble Beach Concours d&apos;Elegance is currently in full swing and we&apos;ll hopefully have plenty of news and pictures from the exclusive auto show shortly. In the meantime, we&apos;ve been observing more activity within the industry as we get closer to the Paris Motor Show, opening late next month. 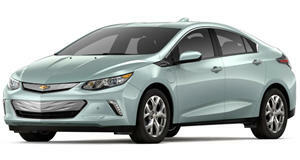 The 2013 models continue to arrive in dealer showrooms and automakers are banking on consumers&apos; ability to buy new cars. Will 2013 be as good as 2012 for the industry? We&apos;ll just have to wait and see. Jeep Plant Almost Ready for Alfa SUV. The Toledo, Ohio Jeep plant is about to become even busier than they already are. Although it just stopped building the liberty this past week, the famous production facility will soon be hiring 1,100 new workers along with an added second shift as part of a $1.7 billion investment. 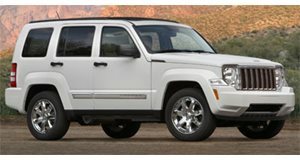 This is all being done in order to manufacture a new SUV that&apos;s being jointly developed with Fiat. 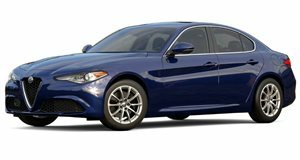 Riding on a widened version of the Alfa Romeo Giulietta, production on the SUV will begin this fall. The addition to the plant includes a 23,000-square-meter production and research center. AMG F1 Coming in 2014? Mercedes is supposedly considering a partial withdrawal from Formula 1, according to a report from French auto publication Auto Hebdo. The German automaker has still not agreed to a new deal with Bernie Ecclestone nor have they had the success they&apos;ve been hoping for on the track. The French report says that Mercedes instead may opt for only a semi-official team beginning in 2014. They would continue to supply customer engines but its team name may change to something like "AMG F1", adopting the name of their acclaimed performance division instead. Auto Bailout Cost Now at $25 Billion. With the 2012 presidential election in full swing, there&apos;s no doubt the ongoing auto bailout debate will once again be in the news. The White House has just raised the amount taxpayers are not expected to recover from $21.7 to $25.1 billion. Still, this amount is less than the $44 billion loss that was once predicted. At the moment, GM&apos;s stock pricing is hovering at about $20 a share and it will need to hit $53 in order for the government to break even. GM stock has been dropping since last May, so it&apos;s very unlikely to expect any positive change before the November election. Toyota Camry Finding Younger Buyers. Although Scion is Toyota&apos;s division that&apos;s supposed to lure in younger buyers, an unexpected model seems to be doing that job at the moment. The all-new Camry has managed to lure in a younger demographic with the average buyer&apos;s age dropping by 10 years. Before the latest redesign which debuted last year, average Camry buyers were baby boomers in their mid-50s. 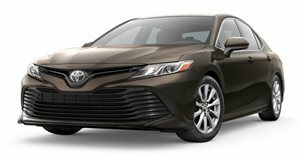 Younger buyers now seem to be interested most in the sporty SE trim, which makes up about 40 percent of all Camry sales. The hope is for these new buyers to help the Camry keep it best-selling car title. Fisker Names New CEO; Fire Investigation Continues. Out with the old and in with the new as Fisker replaces CEO Tom LaSorda with GM veteran Tony Posawatz. LaSorda, previously a Chrysler exec, was named to his now former position only last February. Posawatz was the man in charge of development for the Chevrolet Volt, also a plug-in extended range hybrid like the Fisker Karma. Speaking of which, Fisker issued a statement saying it was investigating an incident regarding a Karma in Woodside, California that caught on fire last weekend.